With winter coming to a close it is time to start thinking about golf. With spring already here it is time to get ready to hit the links. 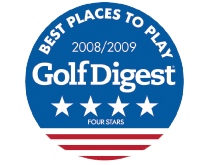 Many courses in the metro Detroit area have opened or have been open all winter. For some, it takes a bit more time and to get the course ready for the season. At Copper Hills, we are working hard to get the course ready for your first visit of 2019. Much goes into course preparation this far north, and with that in mind, we thought it would be interesting for you to know what Copper Hills goes through to prepare for the golf season. Copper Hills Golf Course Superintendent Chris Bertrand has just come on board, so he and his team are working hard to prepare the courses for all of our golfers. First, we have to look at how the course came through the Michigan winter. The amount of snow and ice Copper Hills receives each winter determines when Chris’ staff is able to get out on the course to get things started. We also have to look at the turf conditions. Turf conditions will determine what kind of treatment the course will receive for the season. Fertilizer and chemicals need to be ordered to bring the course alive, and a plan needs to be put in place the keep the turf happy and growing throughout the year. Annual golf dates will determine the schedule for turf treatments always allowing for some surprises due to weather and pests. We also need staff. Bringing the grounds staff back on board and hiring new workers to fill scheduling needs is always time-consuming work and is a large part of the spring prep. Assessing the equipment is another important aspect of spring season preparation. Assessing equipment and preparing the mowers to keep them running well is another important step in getting the course ready. Copper Hills mechanic Scott is in charge of maintaining the course equipment and in charge of keeping it in tune. Golf carts are another important aspect of golf. Scott will also take time to asses the golf cart fleet and make any repairs and improvements needed before any of our golfers take a ride. Clearing debris left by winter storms. Clearing the fairways, tees, and greens as well as the miles of cart paths takes time and effort. What is noticed most by you our patrons are the tee markers and flags. These are what set you up for a great day of golf. Cutting cups and setting tee markers get the layout ready, which is a vital step in the preparation process. Placing the ball washers and trash receptacles in place is another step to help you keep your golf ball and the golf course clean. If you are out early in the year you may notice the greens and fairways look brown and bumpy. Be patient, they will soon be growing and greening up to make your round even more enjoyable. The course will be opening up soon and once it does, the first place you should visit is the Copper Hills Driving Range. The range is located just west of number 9 Hill Course. The driving range has been set up and is ready for you to shake the rust off your golf swing. We currently only have the mats open, but the grass tee will open in May. Finally, the golf shop staff is called up to address your needs upon your arrival. You can count on smiling faces and great customer service each time you visit Copper Hills. We are anxious for your visit to Copper Hills each and every time. Please call or drop by with any requests or questions you may have. 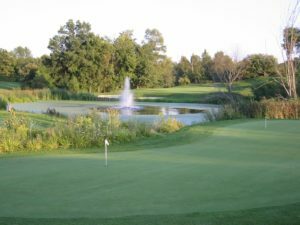 For more information on the opening of the course at Copper Hills Golf Club, contact us here or call us directly at 248-969-9808.